Google has really stayed on track with their releases of the Chrome web browser. They can now add another notch to their wall with the release of Google Chrome 8 Stable. It looks like Google is on pace to release Chrome 9 before Microsoft is able to release IE9. Google Chrome 8.0.552.215 Final is the latest stable version to come out Mountain View, and it brings with it some 800 significant features and a stable of bug fixes. The big additions include a built-in PDF reader, which is built off the Foxit PDF SDK. They have also added support for Chrome Web Apps, which has yet to be released. Chrome 8 Final also does some tidying up. They have patched 13 major bugs with this release, including four “high” level security flaws. Google has also implemented the Chrome sandbox, where the new PDF reader will play. Also the latest Dev version will use the sandbox feature on the built-in Adobe Flash plugin, which has been causing various problems with the browser. Since Google has released the first version of Google Chrome almost two years ago, they have been on the warpath in regards to stable releases. What has taken Microsoft almost 15 years to do, Google is about to do it in just over two years when they release Google Chrome 9 Final. The full changelog and release notes for Google Chrome 8.0.552.215 can be found here. The latest release can be downloaded at google.com/chrome. 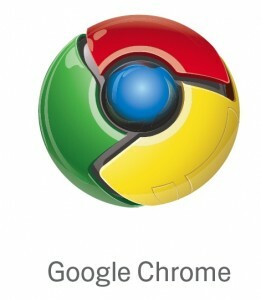 A standalone installer of Google Chrome 8 can be found here.